to Icom for the rebate. 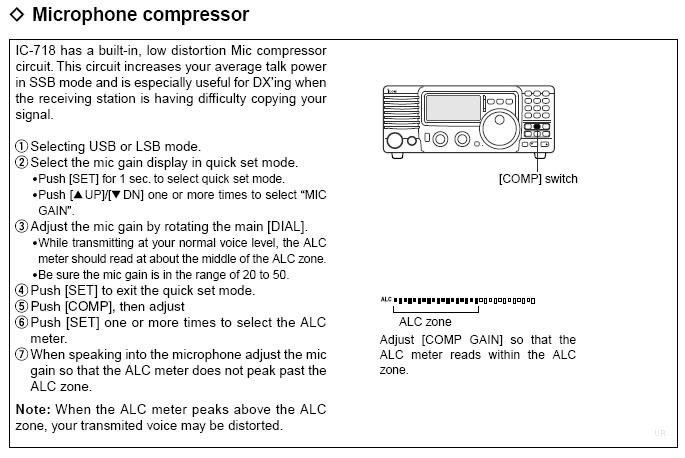 The Icom IC-718 covers 160-10 meters. This radio is very easy to operate with one touch band switching, direct frequency input via keypad and auto tuning steps (senses the rate at which the tuning knob is turned). The receiver section features IF Shift, Adjustable Noise Blanker, RIT and formerly optional UT-106 DSP Automatic Notch/Noise Reduction. These big rig features give you the necessary tools to fight interference. You get 99 regular memories and 2 scan edge memories. You can scan memories or scan between two specific frequencies. The transmit section features up to 100 watts of RF output and AF speech compression to increase average audio output. A Morse keyer is built-in. The meter shows output power, ALC and VSWR. The layout and basic operation of this rig is simple, but through a menu system you can adjust many operational parameters such as: peak-hold on the meter, mode lock out, RF/SQL knob behavior, key type, etc. 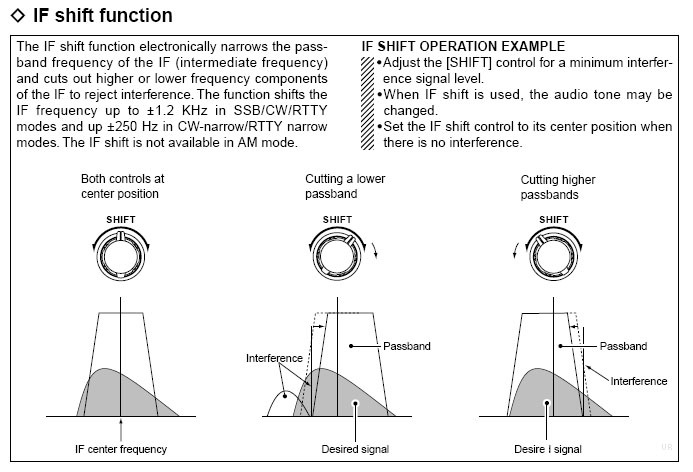 The TS function allows you to vary the tuning increment to your liking. The easy-to-read, large LCD and front firing speaker make this rig ideal for either mobile or base installations. The has rear panel a standard SO-239 antenna jack. 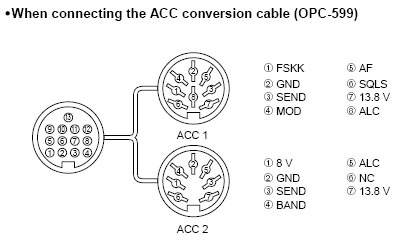 The IC-718 requires 12 VDC at 20 Amps. 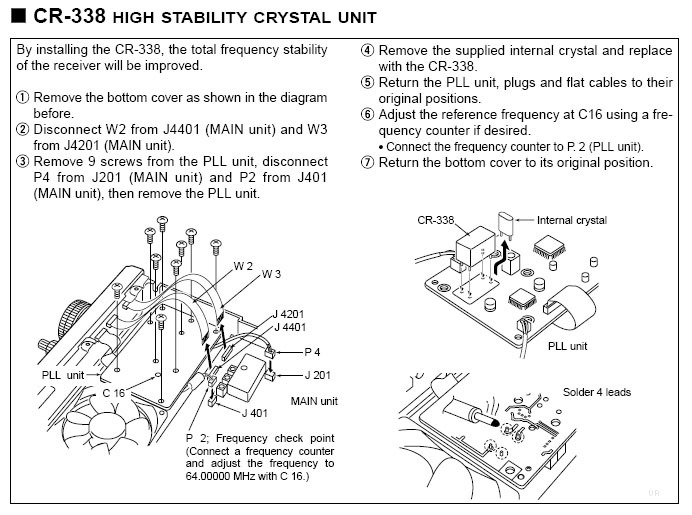 The IC-718 comes with the HM-36 or HM-219 hand mic and OPC-025A OPC-2361 DC power cable. Size: 9.67 x 3.8 x 9.5 inches 8 lbs. 6 oz. (240x95x239mm 3.8 kg). See July 2000 QST for a review of this radio. 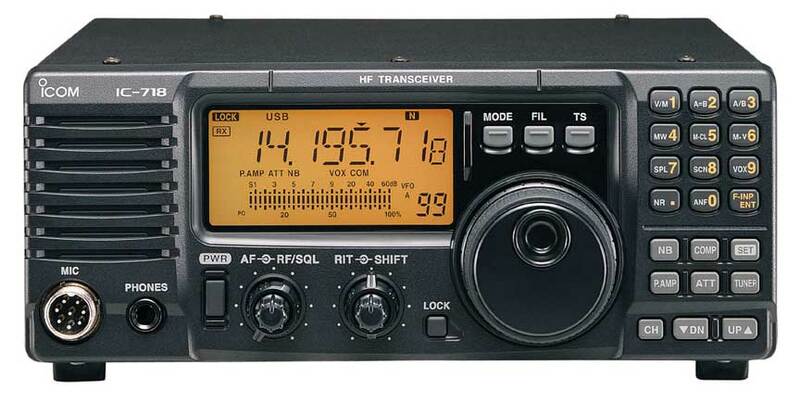 The IC-718 is a great value, providing reliability and DSP at a 'used rig' price. This transceiver will conveniently drive either the fully automatic AH-4 or AT-180 optional antenna tuners. Optional filters require soldering. 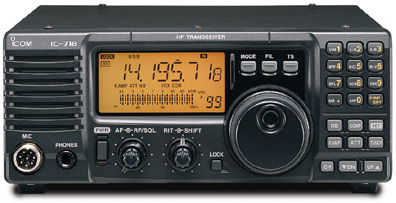 The IC-718 was reviewed in the July 2000 issue of QST magazine. 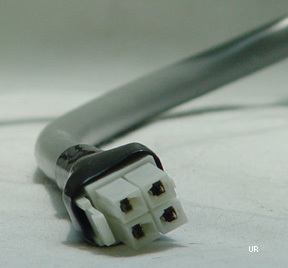 Radios shipped after 02/01/16 feature a 4-pin power jack, rather than the older 6 pin MOLEX power jack.